Founded in 2008 as K-9 Sweeps, we quickly became the #1 true local Las Vegas Bed Bug Expert. We specialize in all aspect of bed bugs and beyond. In 2015 the company transitioned its' name to Guaranteed Pest Solutions to better reflect our expanded services. With our 1,000's of satisfied customers, along with our guarantees that back up our service, you can be assured your home or business will remain bed bug, pest, and rodent free. "Guaranteed Pest Solutions is the Las Vegas Pest Control company that will change the way you think about pest control." Call now for your free phone consultation! We focus exclusively on bed bugs. We know how to find bed bugs. We know how to eliminate bed bugs. Heat Treatment - Using State of the art Thermal Bed Bug Equipment. The most advanced, effective way to eradicate bed bugs. It's proven. It's safe. It gets results. It's guaranteed. We don't just treat existing bed bug infestations – we eliminate bed bug infestations. 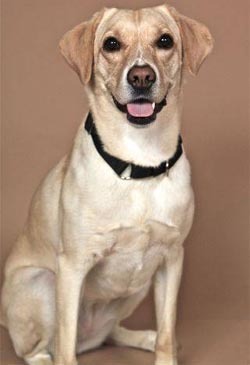 K-9 Sweeps always recommends the right treatment based on your bed bug problem. Whether your entire house is infested or just one room has bed bugs, we will get rid of all bed bugs – guaranteed. 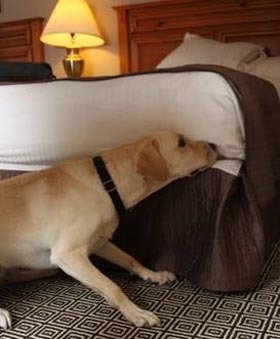 K-9 Sweeps is the preferred company to handle all aspects of bed bug management. Our proven and trusted inspection and elimination methods work – guaranteed. We have the knowledge and tools to quickly and accurately inspect an entire apartment, condominium, home or commercial facility. We confirm exactly what room or rooms have bed bugs and only treat the rooms visually confirmed with bed bugs. - The cost is minimal; the peace of mind invaluable.